The quality of the woofer and midrange is crucial for the sound quality of a speaker. One element that comes under particular scrutiny here is the cone that is used for the driver. Long-fibre paper cones have been used for the bass-midrange units and their inverted dust caps. This is a material that is characterised by an excellent low weight/high damping ratio. A rich bass and transparent sound pattern is enabled in conjunction with powerful, high-quality ferrite magnets and heavy-duty voice coils. The mounting ring, which is screwed to the housing in six or eight places depending on the model, is now more solid. The 25 mm silk dome, which features ferrofluid cooling for improved power handling, has a short horn attachment for enhanced transition to the midrange. 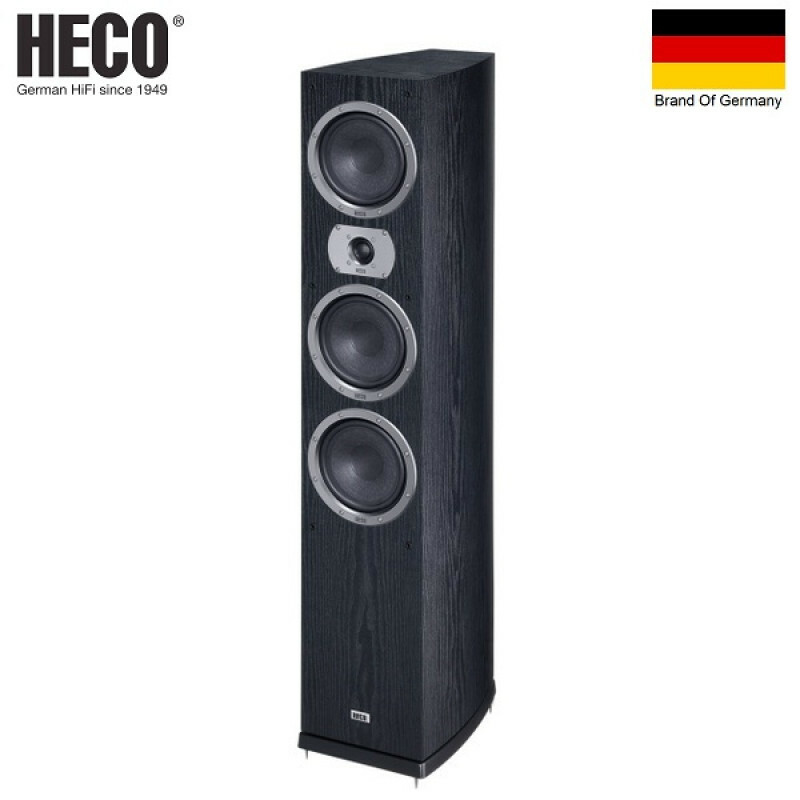 An amplitude and phase-optimised crossover is responsible for the harmonious interplay of the individual chassis. The rounded sides have been meticulously manufactured from layers of glued and moulded MDF panels. 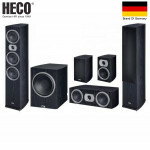 The housing construction is thereby more stable with reduced resonance. This results in a low-resonance structure which offers optimum conditions for the chassis and bass reflex coordination. 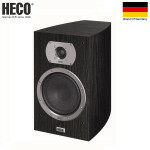 The floorstanding speakers are also equipped with a solid MDF base plate. The terminal area has been completely redesigned to ensure more space for the gold-plated and encapsulated connecting terminals. 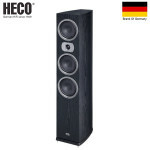 Damping rubber feet are included in delivery and the floorstanding speakers are also provided with height-adjustable metal spikes. The Victa Prime models, which are designed as bass reflex systems for a powerful and precise reproduction of the bass range, generate additional pressure via specially formed and screwed reflex ports. 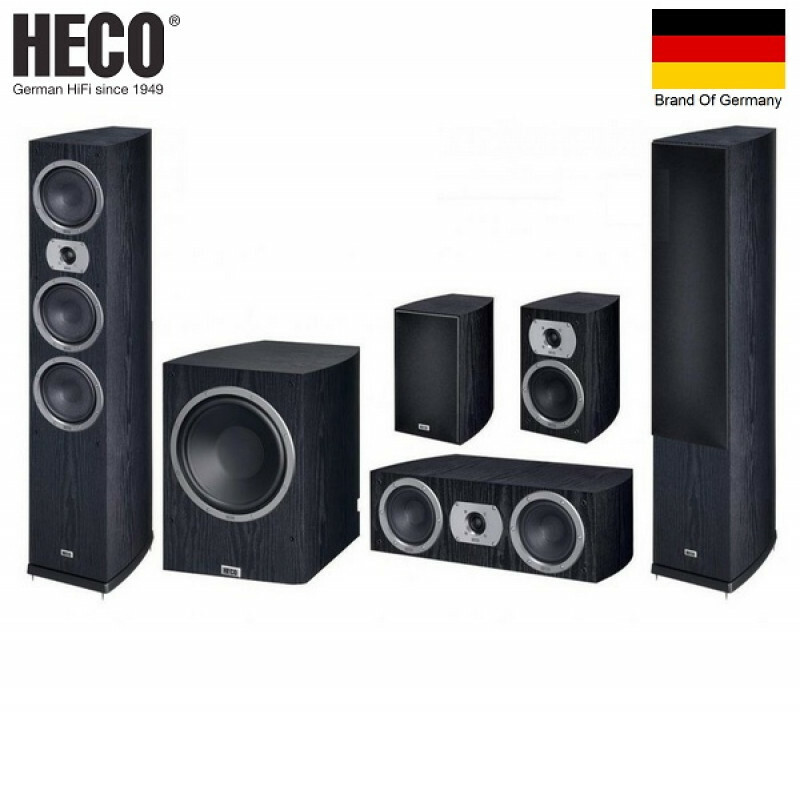 The magnetically shielded centre speaker, which exhibits a double woofer configuration, and the subwoofer, which is equipped with its own power amplifier, enable home cinema enjoyment at a Victa Prime level. Besides the above mentioned features, all of the chassis are naturally also subjected to a fine tuning process with the help of our Klippel® laser measuring and analysis system, after which they are coordinated in final listening and practical tests. The Victa Prime series once again demonstrates the enhanced possibilities of a fundamentally correct concept. 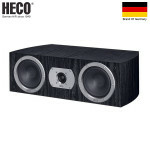 HECO´s Victa Prime 302 is the larger of two shelf speakers in the series. 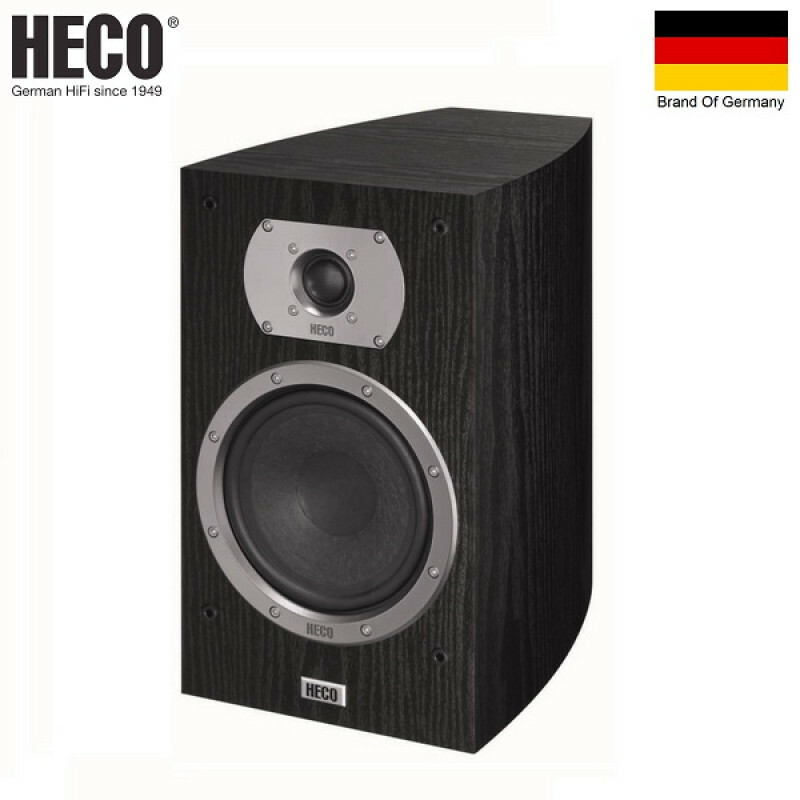 Thanks to HECO´s tried and tested long-fibre kraft paper, the 170 mm bass-midrange driver always ensures sufficient stability and freedom from distortion in the critical frequency ranges. A 25 mm silk dome with ferrofluid cooling is also used in this compact speaker. It enables significantly enhanced power handling and improved transition to the midrange via its short horn attachment. The lightly rounded sides of the Victa Prime 302, which have been meticulously manufactured from layers of glued and moulded MDF panels, provide the speaker with a modern appearance. The extremely low-resonance structure offers optimum conditions for the chassis and bass reflex coordination. HECO´s Victa Prime Sub 252 A is the active subwoofer in the series that can be used to build a fully-fledged and powerful home cinema system. Equipped with HECO´s tried and tested long-fibre kraft paper, the 260 mm long-throw driver ensures that even low rumbling home cinema sequences are completely free from distortion. 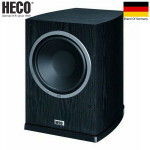 The housing of the subwoofer, which also exhibits slightly rounded sides, falls in line with the visual concept of the Victa Prime series. 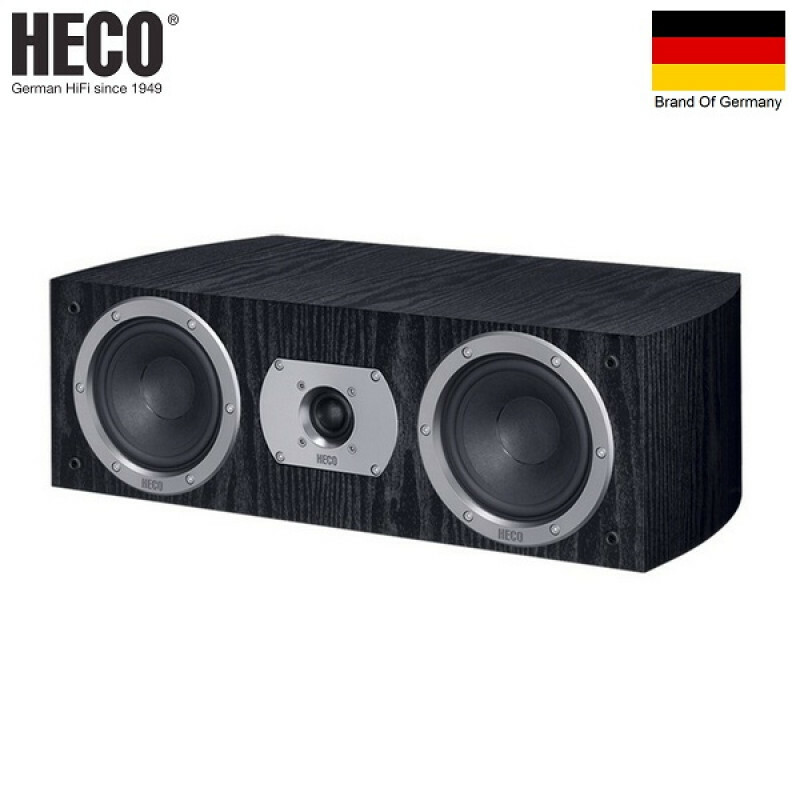 At the same time, a solid housing construction, which consists of layers of glued and moulded MDF panels, provides optimum operating conditions for the bass driver.